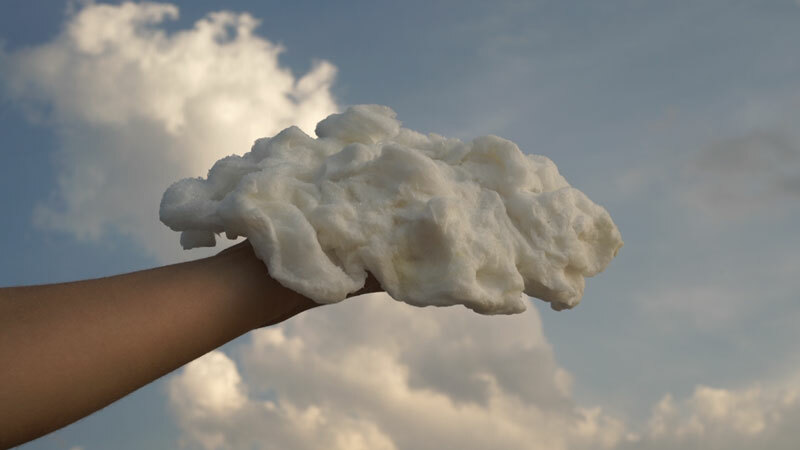 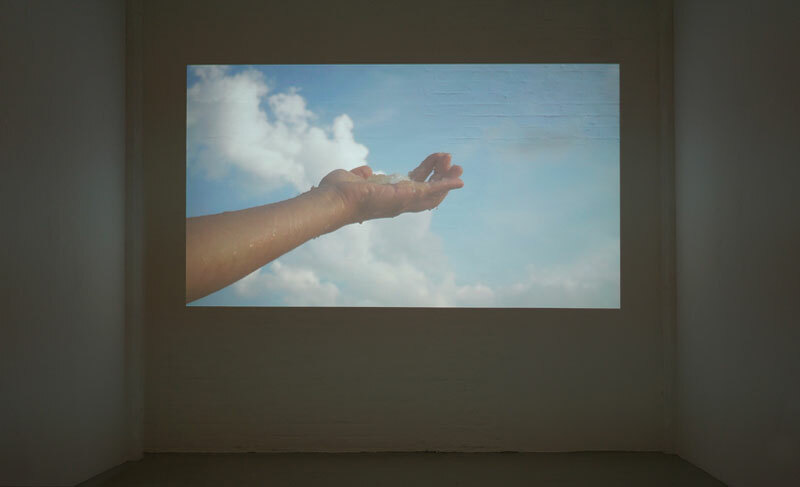 A hand holds up a cloud formed out of white cotton candy in front of the sky. 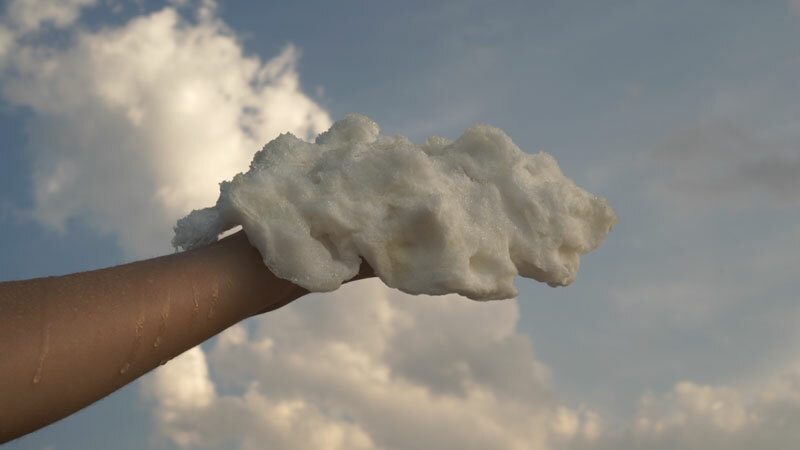 While the clouds in the sky are passing the image frame, the cotton candy cloud is melting. 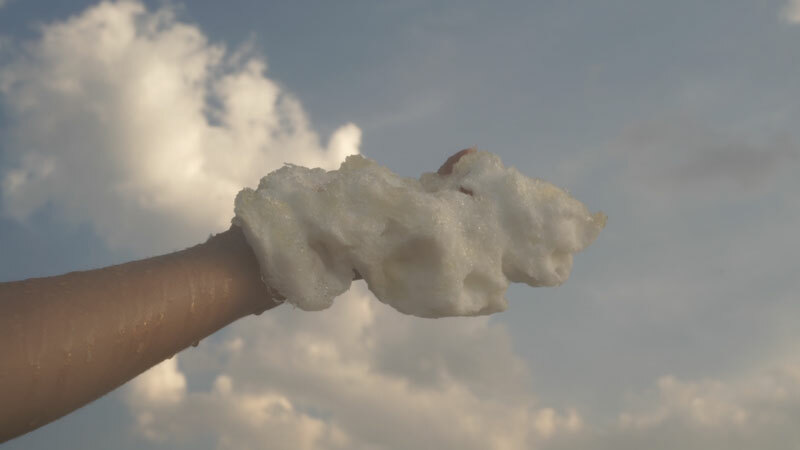 The sugar crystals transform into a fluent material, dripping and falling apart.